Being completely central Gouarec make access to all parts of Brittany relatively straightforward. But there's enough to keep you occupied for a week within walking distance. As well as the usual campsite facilities the campsite is also a hire centre for cycles of all types - traditional roadsters, touring bikes, tandems, electric bikes and various trailers and children's bikes. As the canal towpath runs right by the campsite and the V6 cyclepath is just 300m away it means that safe and relatively flat cycling is available to explore the beautiful surrounding countryside. The campsite also has both canoes and kayaks for hire and last but not least, you can hire a 2CV to explore further afield with the wind in your hair;-) For something completely different you can even pan for Gold in the river D'Oree which flows past the campsite. Over the last few years the immediate area around Gouarec has built up several attractions to become a rather special place to base yourself. 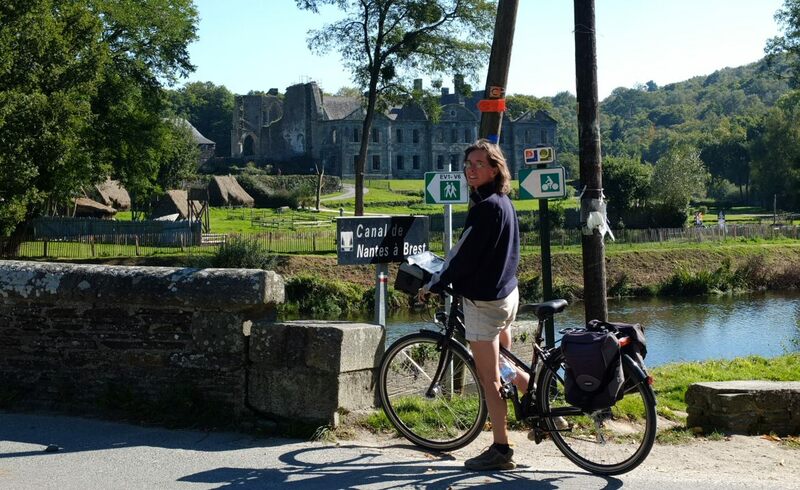 Within an afternoon's walk (or and hour's ride) you'll be able to stroll the 3 kms east to 'Bon Repos' - the perfect picnic spot with a ruined abbey, restaurants, bar and play area, and a lovely little Sunday morning market. 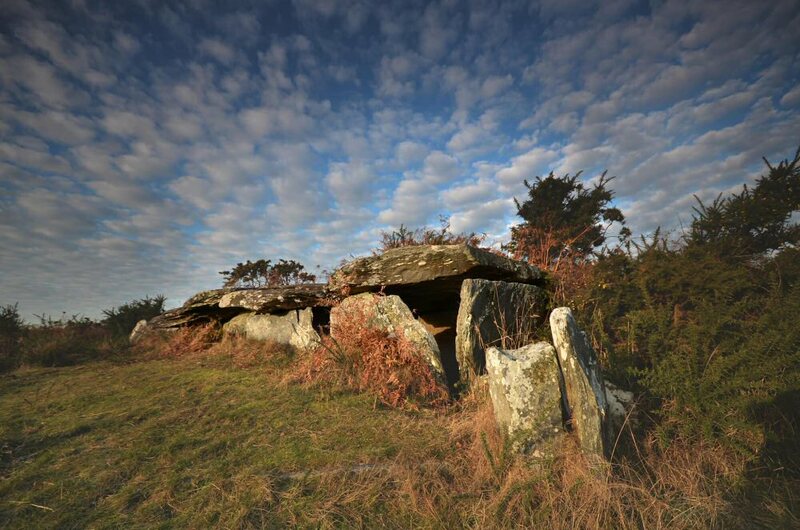 A short climb up from Bon Repos takes you to some of the covered tombs at Liscuis. Just opened recently is the wonderful narrow-gauge railway at Bon Repos complete with rides and museum - there's a lot to see. Going west takes you to the village of Plelauff with its little bar and 800 year-old chapel. A decent walk, or very eas cycle ride (or a day's canoeing) along the canal through forgotten French countryside will take you as Far as the Lac de Guerledan - the biggest lake in Brittany, where you'll find beaches, restaurants, bars, sailing and waterskiing. ultimately all the way to the town of Carhaix if you feel like a longer ride (20 miles each way). 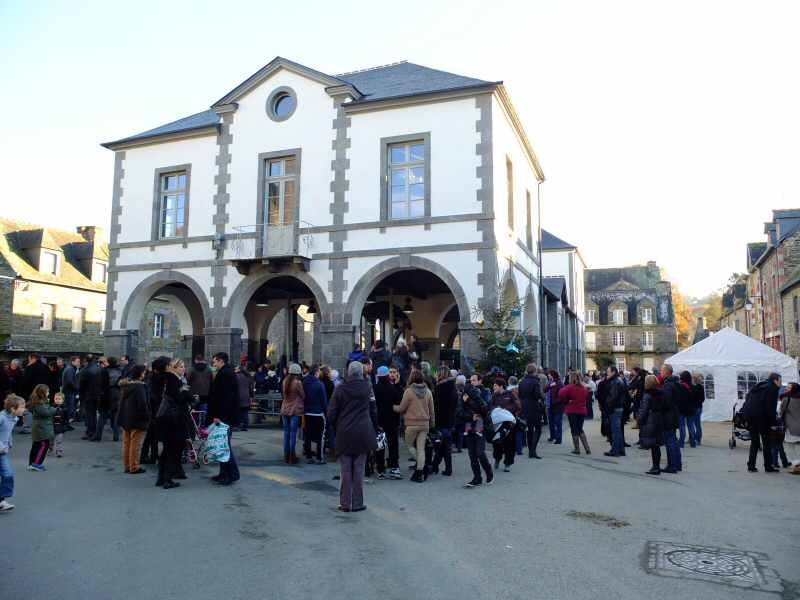 On the way you pass the museum and Chateau at Forges des Salles where a complete 18c iron works is preserved. As if that isn't enough, in the other direction there's the V6 cyclepath from Gouarec that follows the old railway line. This is an easy ride to the town of Rostrenen where on Tuesday there is a wonderful street market, then on the lake at Mael Carhaix.